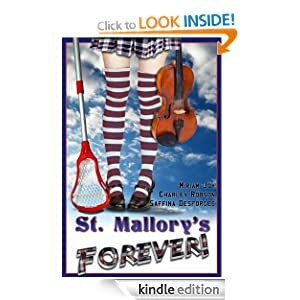 boarding schools – St Mallory's Forever! I Jolly Well Don’t Talk Like That! Am I the only one who, almost instinctively, associates the word “jolly” with Enid Blyton or some other of her ilk? Not that that’s a bad thing – it was perfectly common language at the time, even among teenage girls – but the fact that some people still expect boarding school girls like me to whip it out every other sentence really makes me wonder. So, today, I thought I’d take advantage of this spare time at the end of my oh-so-hectic Monday to tell you about another commonly misconstrued facet of boarding schools – straight from the horse’s mouth. Literally! Though I’m a boarding girl, I’m really not one to talk about funny accents. In my first two years at my school, people asked me whether I was American, Australian, and once even Eastern European. My History teacher, who has taught me for three years, was also convinced I was Canadian at one stage, because I still hadn’t fully dropped the accent from the time I lived there. Nowadays, you’ll be happy to hear, my accent has calmed itself and settled into a fairly regular tone – it sounds like this. To me, of course, this sounds perfectly normal – everyone else in my little boarding bubble has a similar accent – but, as you can see from some of the comments below the recording, others think it’s hilariously posh! But, strangely, though the accent is a fine part of the boarding school mystery (not to mention an essential part of any half-decent imitation! ), it’s not the first thing that people think of when they pretend to “talk boarder” as it were. It’s more words like “jolly”, “horrid”, “awfully”, and “I say!” used in copious amounts that tend to point out that one is a boarder, right? Well, sort of. While we may be more prone to use of the sort of language you’d expect from Dad’s Army or a contemporary World War One play, for the most part we boarders talk just like everybody else – including all those floral four and five letter words usually reserved for occasions when one’s hip connects in that especially painful way with the edge of a desk. We use common text contractions (well, I don’t, but that’s my inner Grammar Nazi talking), we say “like” in that awful teenage manner, and we even – horror of horrors! – call our parents the normal “Mum and Dad”. Get all those thoughts of “Mumsie” and “Daddy dearest” out of your head this minute! However, in order not to sound like a total killjoy, I’ll let you know the posh part of our speech too. Where I’m stationed, out in the woolies of Dorset, we’re not terribly up-to-date on the latest teen phrases. If someone said “peng” to me, I’d wonder if I’d wandered into a Star Trek convention, but – according to The Telegraph anyway – every other “average teen” in the country would know immediately it’s slang for “pretty”. There are other phrases like this, but as I’ve yet to go into an area where they’d be used, I can’t tell you what they are. Drop me a comment and see if I can guess the word’s meaning, make a game of it! Hehe. …. And, alright, we do say “jolly”. Not often, not usually in public, but we do.